Currently, the specifics of William Bryant's early life are unknown. This includes his parents, his age, and his place of birth. Even though we have recently come into a relative windfall of information surrounding William (considering all we had was a name on a headstone), he is still shrouded in mystery and there are many unanswered questions. What we can assume is that, based on our knowledge of his first wife, William was likely born around 1779. 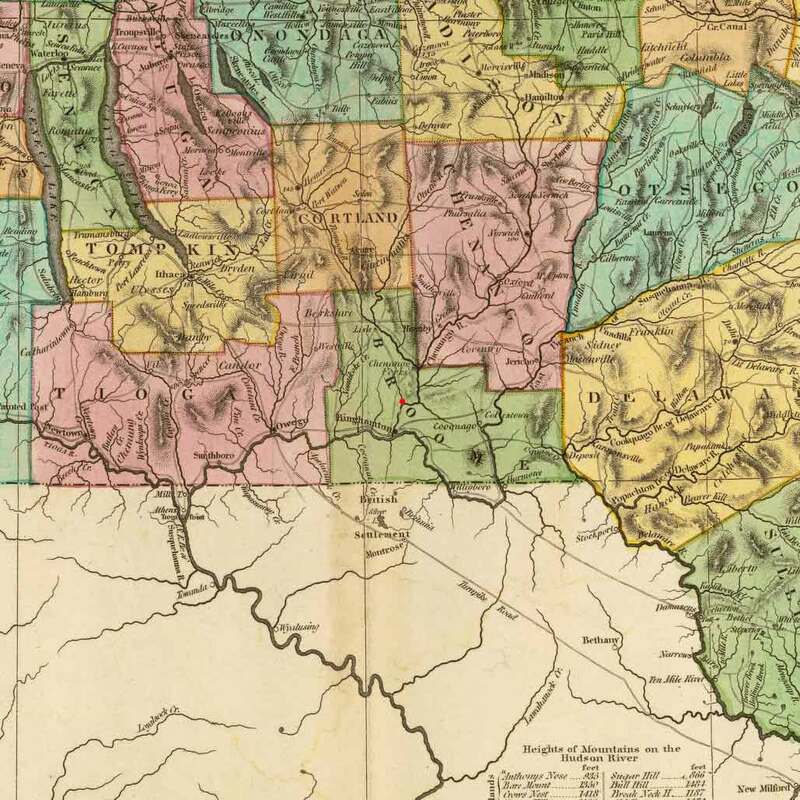 He made his residence in Chenango, Broome County area of New York, but it was not uncommon for locals of these western "frontier" regions to be born in other colonial states farther east (like Massachusetts or Connecticut). Around 1805 he married Diane Livermore and within the next six years the couple would have 4 children together, only two of which we know by name. By 1812, tensions born from the revolution had been left unresolved and rose to a boiling point between the U.S. and Britian leading to the War of 1812. 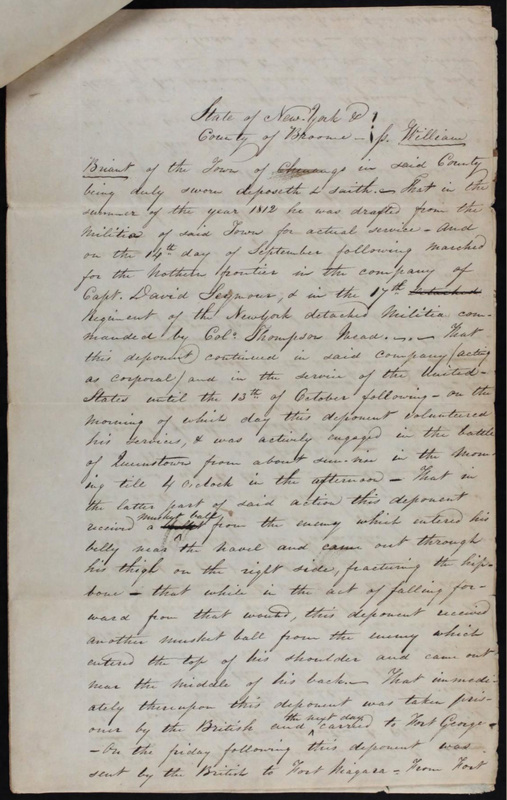 War was declared on the 19 Jun 1812 and by the 8 Sep 1812, William was drafted into the company of Capt. David Seymour's 17th Regiment of the New York detached Militia commanded by Col. Thompson Mead. William, ranked 2nd Corporal, marched into the "northern frontier" of New York with the rest of the 17th regiment on the 14 September. On the morning of the 13th of October, the 17th Militia was stationed with about 3,500 other soldiers at Lewiston, just across the Niagara river from Queenston, Quebec, Canada. The Americans were attempting to get a jumpstart and establish a foothold on the Canadian side of the Niagara before the onset of winter. William was of the first in his company to volunteer his services and cross the Niagara where he was actively engaged in the Battle of Queenston Heights, the first major battle of the war. William saw action from about 7:00am until 4:00pm. Around this time William was struck with a musket ball from the British, entering his belly near the navel and exited his right thigh, fracturing his hip bone. To make matters worse, as William fell forward in pain, he was struck again. This time a second musket ball entered the top of his shoulder and came out near the middle of his back. Shortly thereafter, the poorly organized American force that had crossed the Niagara (and greatly outnumbered the British), hastily retreated in fear as the Mohawk war-cry leading the British counter-attack rang across the battlefield. The mass retreat was without order and likely led to the abandonment and capture of William. Poor leadership and confusion led to attacking American General Wadsworth's reluctant surrender, as he cursed his troops for refusing to cross the Niagara, thus ending the battle. The resulting action saw William immediately taken prisoner while the British proposed a temporary truce to tend to the wounded on the battlefield. Here field surgeons from both sides were sent in to assist William and the rest of the wounded. On the following Friday (16 Oct), William was sent to Fort Niagara by the British. Fort Niagara was controlled by the Americans on the opposite shoreline of the Niagara river from the British at Fort George. This transfer was a gentlemanly gesture of goodwill that was commonly seen on the battlefield of that time and most likely compounded by the severity of William's injuries. Soon after, William was removed to the Americans' base of operations in Lewiston, 8 miles south of Fort Niagara and Fort George. Here, on Monday, 19 Oct 1812, William's regiment was disbanded and Capt. David Seymour parted ways with William, whom he called "a faithful and obedient soldier", stating that he believed "that he would never recover from his wounds" and left him without money and "wholly dependent on the public." Now without an official regiment William was discharged the 30 Oct 1812, yet physically unable to go anywhere under his own power. In what appears to be early November, William was relocated to an area referred to as Eleven Mile Creek (now Ellicott Creek) in Williamsville, Erie, New York. There was a field hospital set up along the creek side of Garrison Road where American troops were stationed during the war. This is where William would lay, confined by his wounds at Eleven Mile Creek, for the next month and a half. William stated that while he lay sick, he did not receive a single cent, that he had to procure a credit of $18, which he later paid, and survived off the charity of others (a story backed up by Capt. Seymour). On the 18 Dec 1812, William was finally well enough to leave Eleven Mile Creek. He traveled for 6 days before finally reaching home on Christmas Eve 1812. 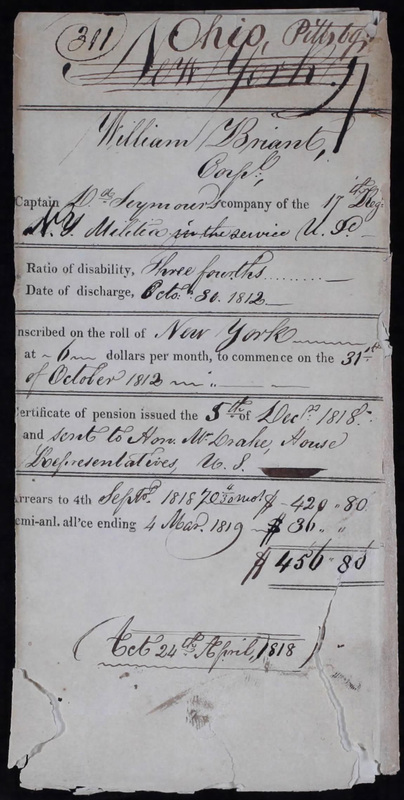 William was fully paid his due wages and rations on the 19 Mar 1813, but because he only served a month and a half in the New York Militia, his salary only totaled $15.04. 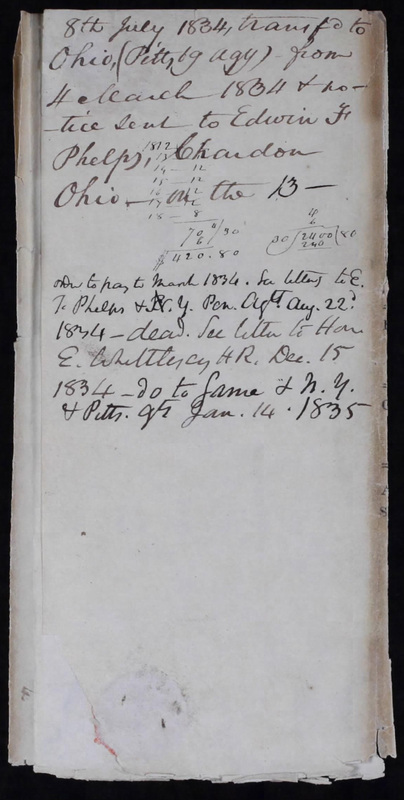 [Not even enough to cover the credit he procured to survive as he laid sick at Eleven Mile Creek]. After he recovered, sometime between 1813-1818, he and Diane would have another child. This time it was a daughter who, sadly, we only know of by a tally mark taken for the 1820 census. Information surrounding her name and date of birth remain a mystery, while we can presume that she was born in Chenango, Broome County. 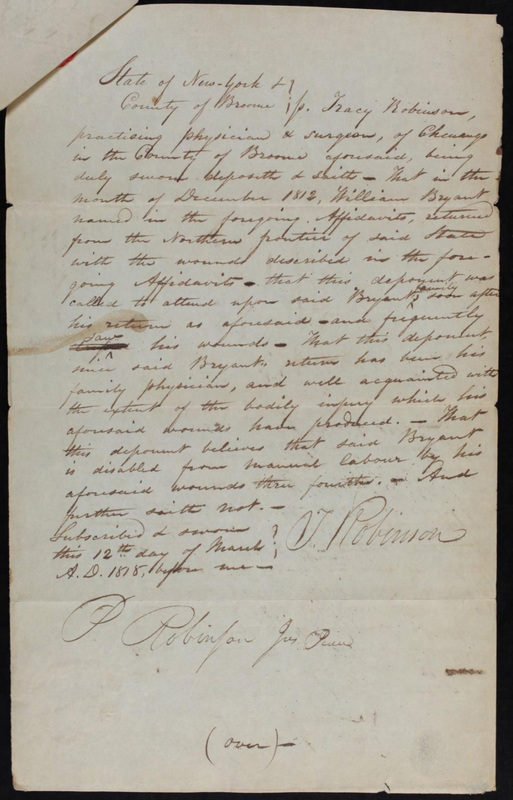 When William applies for his pension on 19 Feb 1818, he states that manual labor is his only means of livelihood, he has a wife and five children, he's described as "three-fourths" disabled and unable to obtain substance for his family by manual labor. 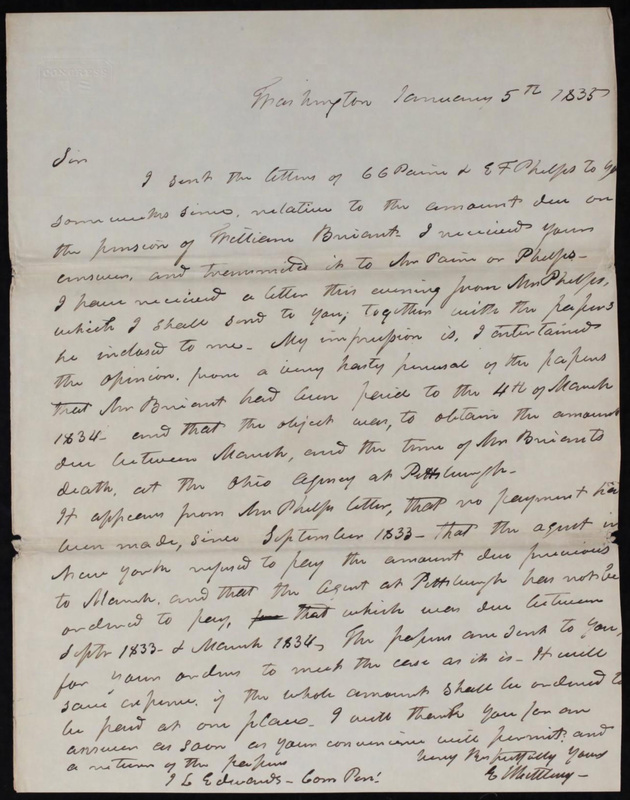 His circumstances are heightened by the plea at the end of his pension letter stating he had originally obtained a certificate of his disability from the regiment surgeon regarding his wounds and it sent to Washington D.C., but concludes it's been lost. That surgeon was now living 60 miles away and by this time, William was so poor and his family was in "such a situation" that he was basically asking for the board to take pity on him because he was "wholly unable" to travel to the surgeon to attempt to obtain a second certificate. 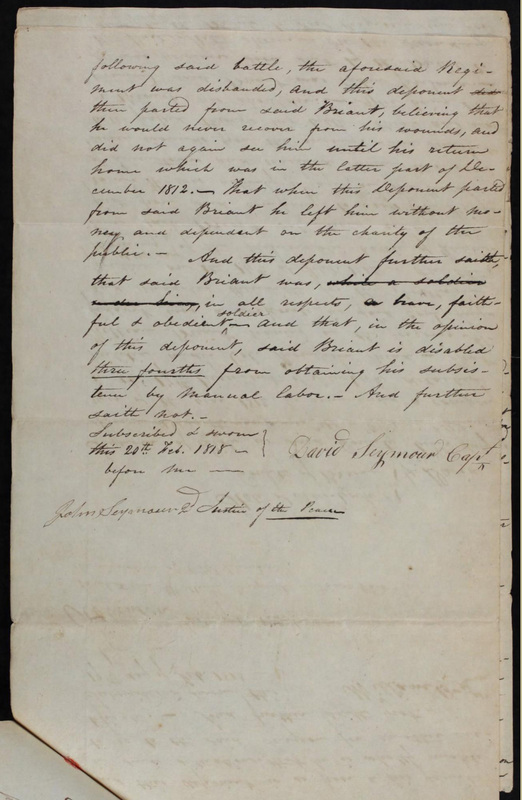 This information is backed up by a letter written shortly thereafter by the doctor who attended to his wounds from the moment he arrived at the Bryant home in December 1812 and has since become the family physician, stating he was "well acquainted with the extent of the bodily injury" that has afflicted William. 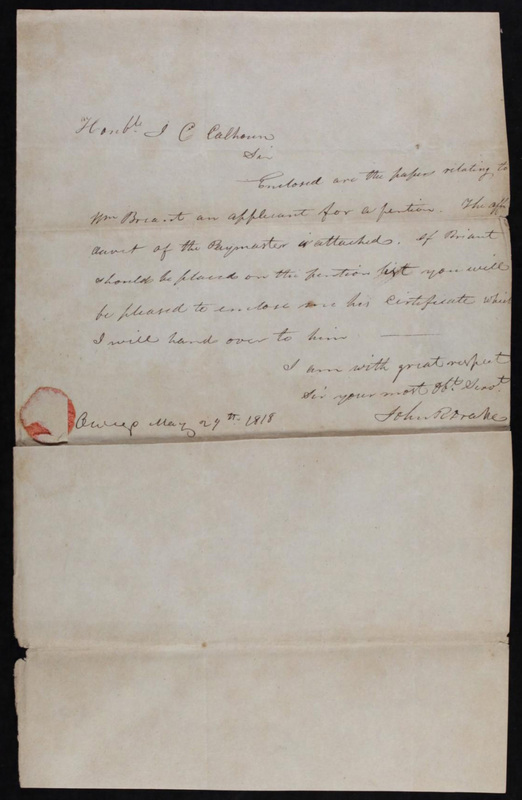 On the 24 Apr 1818, the pension act is passed and on 05 Dec William's pension certificate is issued, providing $6 a month, retro-active from 31 Oct 1812. 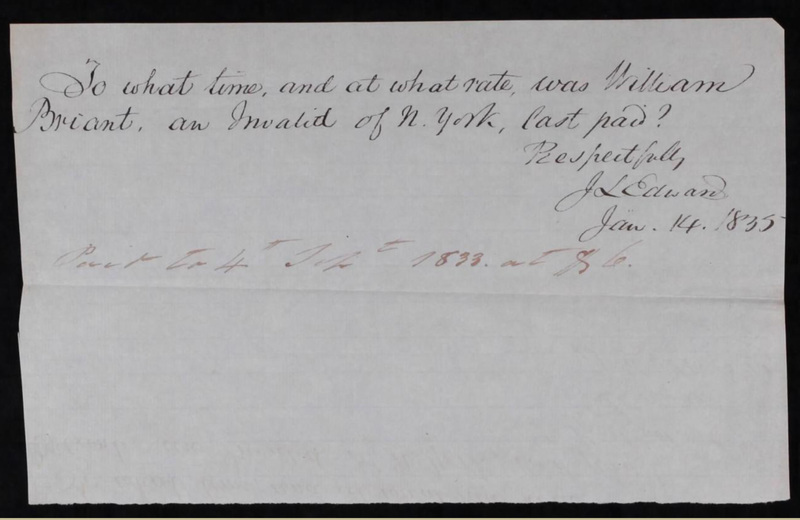 By the 04 Mar 1819, William was issued a sorely needed $456.80. This was definitely not a cure all as it appears William slowly drained any funds he previously had. 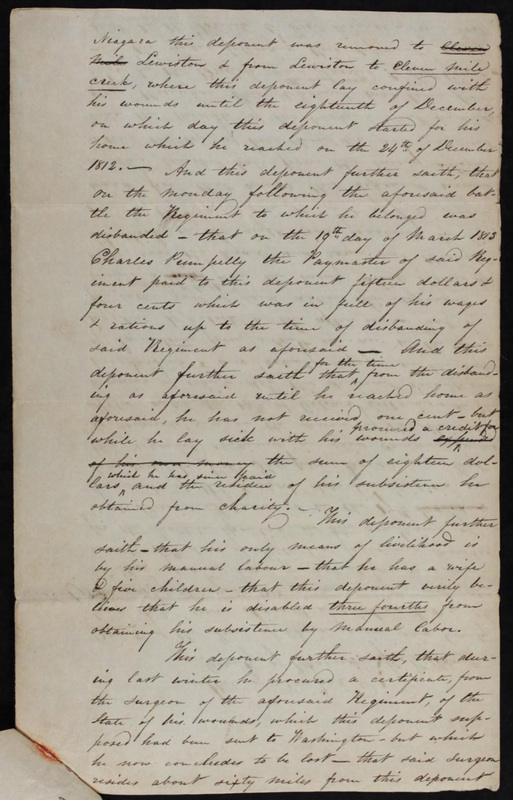 In 1819 William purchased a small plot of new land in Chenango with the funds available to him from his pension and sold off his old property in pieces to help sustain his family. Shortly after 27 Nov 1820, when William sells off his first piece of property in Chenango, his wife Diane dies. The circumstances surrounding her death are unknown, but she likely passed in the early winter or spring. Diane was 42 years of age. It didn't take long for a disabled and widowed William to find himself a new bride. Within just a few months, likely mid to late summer of 1821, William married Harriet Harris, a 19 year old who was also a local Chenango resident. The following year, on the 15 Jul 1822, William and Harriet welcomed their first child Benjamin Franklin Bryant. In 1823, Harriet gives birth to a daughter Harriet M. Bryant. The land sale trend continued into his second marriage. Around the same time, it appears William had to sell off the rest of his property in a move to help sustain the family. Based on our inability to locate the Bryants on the 1830 census, we can assume this meant the family had to move under someone else's roof. The hardships didn't stop the children however, as another daughter, Jane Elizabeth Bryant, arrived on 30 Sep 1827. She was followed by Sarah C. Bryant on 02 Apr 1829, and then Frances Amelia Bryant on the 23 May 1832. Some time between September 1833 and 04 March 1834 William Bryant and family picked up and moved west to Geauga County, Ohio. We know this because when he got there he made an attempt to pick up his soldier's pension at the Ohio pension office in Pittsburgh, Pennsylvania. It's at the Ohio office that William was denied his pension. Being denied his pension forced William to go to the Geauga County Courthouse to get a pension transfer approved. 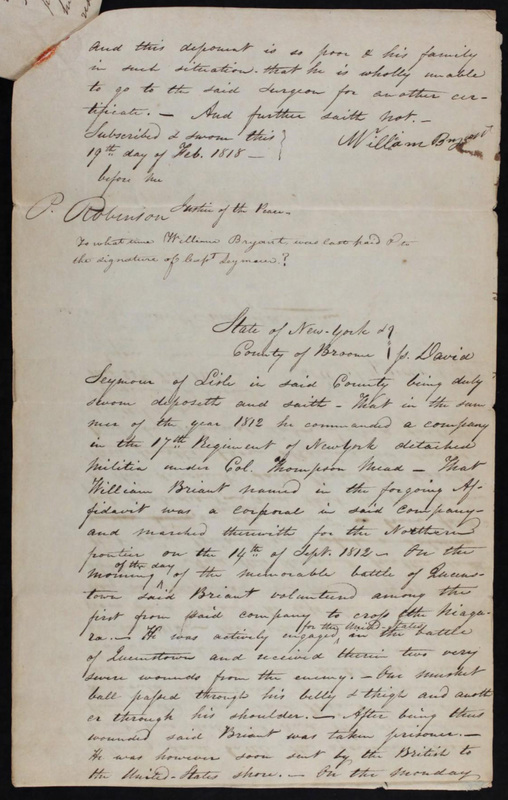 So, on the 26 May 1834, William appeared in court before Judge Edward Flint to testify that he was the same William Bryant as that of Chenango, Broome, NY and that he was injured while serving in the 17th New York Militia during the War of 1812. When inquired, William voiced his intentions were to stay in Ohio and he had relocated his family because he "wished to find a better country where lands were cheap in order to get a home in his old age" (and I assume physical condition as well). 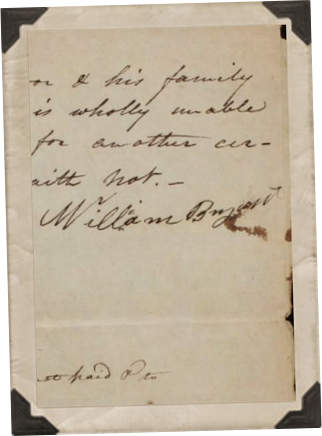 On the 08 Jul 1834, William's pension transfer was approved and sent to Pittsburgh. He was notified through Edwin F. Phelps of Chardon on the 13 Jul 1834. From this we can assume that the Bryant family was living in Chardon, possibly on the Phelps' land or at least regularly saw Edwin. It's also likely that, based on the condition they were in, the family lived with and was wholly dependent on Edwin and his wife (Cornelia Ann Denton) until the pension transfer went through. The last we hear of William is of his death on 22 Aug 1834. Whether this is his actual date of death or just the date the Ohio pension office was notified is not clear. Two months after William's death, in October 1834, a final child is born to William's widowed wife Harriet, a daughter, Helen Augusta Bryant. Unknown Son, abt 1806 – ? Unknown Son, abt 1807 – ? Unknown Daughter, abt 1814 – ? A William would be listed as 3/4ths disabled. 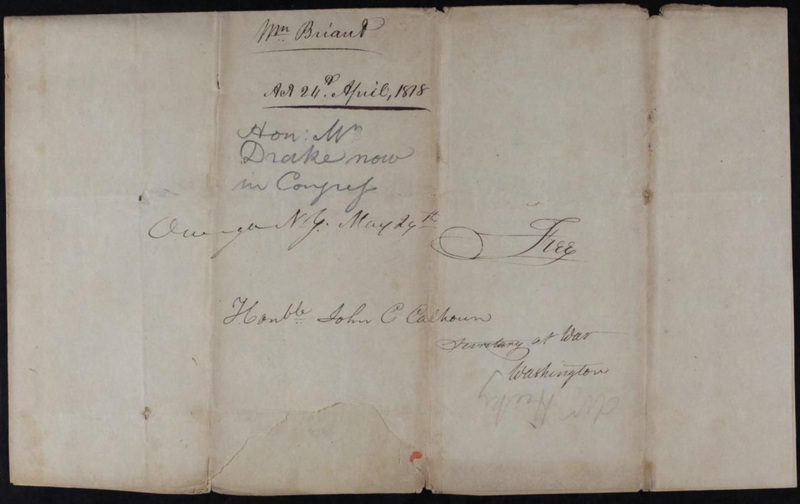 His Pension was issued 05 Dec 1818. 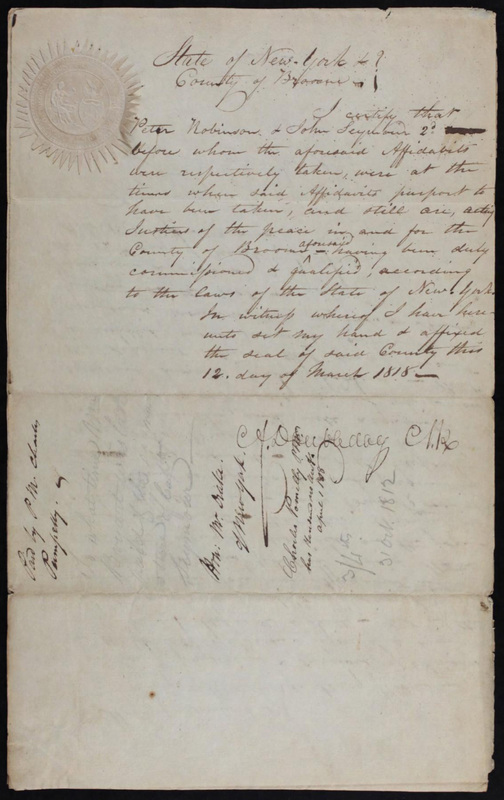 On the 8th Jul 1834 it was transferred to Ohio from the final NY payment on 04 Mar 1834. 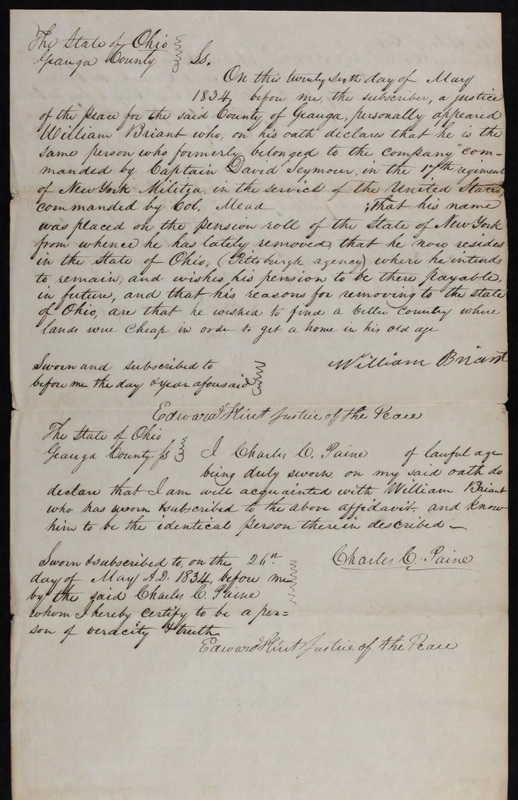 Notice sent to Edwin F. Phelps of Chardon, Ohio. William died 22 Aug 1834. B Much of the family's post-1812 lives appear to have been spent in some form of poverty. William had to sell off his land to try and make sure ends would meet, while constantly fighting for the pension it seems he desperately needed. This made following William (outside of court records) difficult. 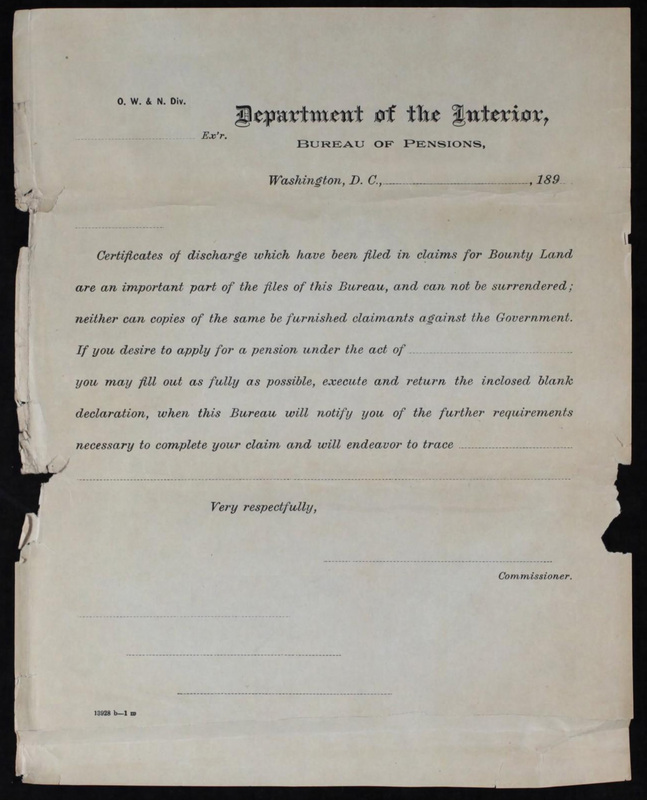 Only the provider and head of house would be counted on census records until 1850 and tax records only counted land owners. William appears to have spent time living with other relatives or friends after selling his land. This move ensured he wouldn't have been counted on the census, aside from being a tick mark. C I have taken a bit of liberty in assigning Sarah a birth year of 1829 and some may disagree as both Sarah and Jane's families have documented their ancestor was born in 1827. My decision comes from learning Jane died young at 35 in 1863 and was documented by her family, while Sarah lived to 67 in 1897 and was then recorded by her daughter & granddaughter. 1. The farther you get from the primary source, the less likely it's accurate, 2. Sarah's age was counted on three census records, something she would have likely provided herself (at ages 31, 42 & 51). Two of those records state she was born in 1829 and one states 1828. D It's highly likely that based on the condition the family was in, William never received a proper gravestone. He most certainly would have been buried under a temporary wooden marker that eventually rotted away removing any visible trace of his burial. 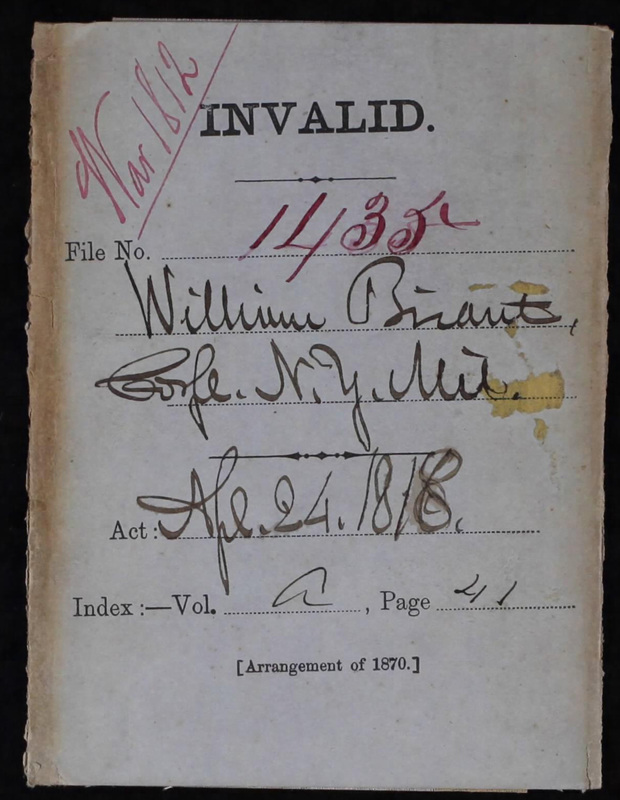 Do any land or court records exist in Geauga County for William Bryant in 1834? 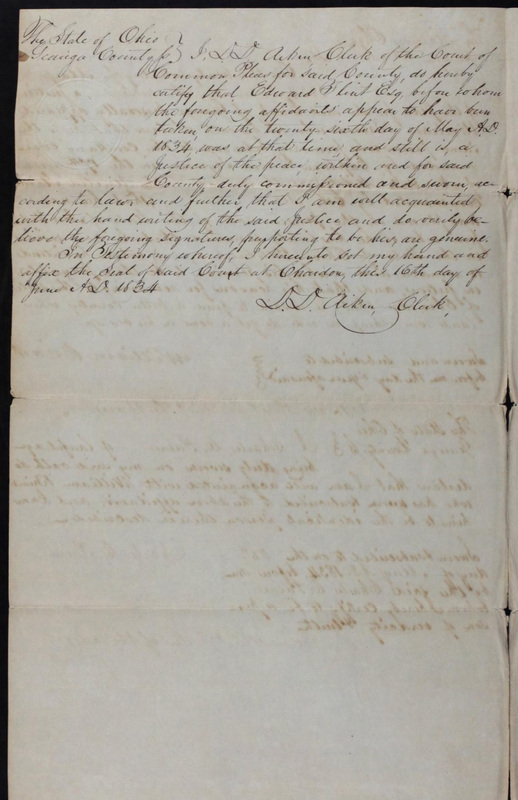 Do either Geauga or Trumbull counties have a probate for William's death in 1834? 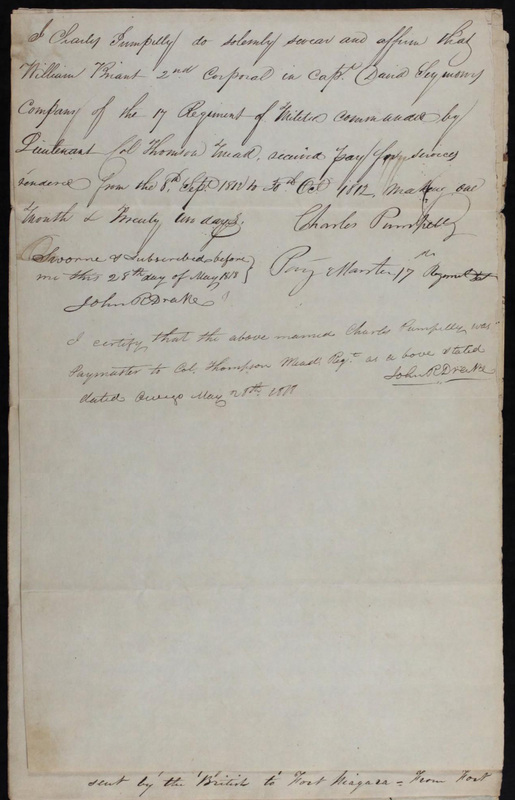 1 War of 1812 Pension Record for William Bryant; The U.S. National Archives and Records Administration; 8601 Adelphi Road, College Park, MD 20740; 2014; William Briant, 17th New York Militia, Capt. David Seymour's Company; File No. 1435; Index: Vol. A, Page 41 ; 17 Total Pages. 2 War 1820 U S Census; Census Place: Chenango, Broome, New York; Page: 26; NARA Roll: M33_65; Image: 37; Records of the Bureau of the Census, Record Group 29. National Archives, Washington, D.C.